View More In Professional Video Accessories. Menu Language: English, French, German, Chinese, Italian, Spanish Etc. 1,Multi video input(VGA, AV, HDMI), Screen resolution: 1024(H) * 600(V) pixels, screen contrast: 450:1, screen brightness: 250 cd/m². 3,With rotatable sturdy base, the video monitor screen view angle: H-60 degree, V-40 degree. 4,Note: VGA cable and HDMI cable are not included. 5,Multi Menu Language: English, French, German, Chinese, Italian, Spanish, Japanese Etc. Multi video input(VGA, AV, HDMI), Screen resolution: 1024(H) * 600(V) pixels, screen contrast: 450:1, screen brightness: 250 cd/m². 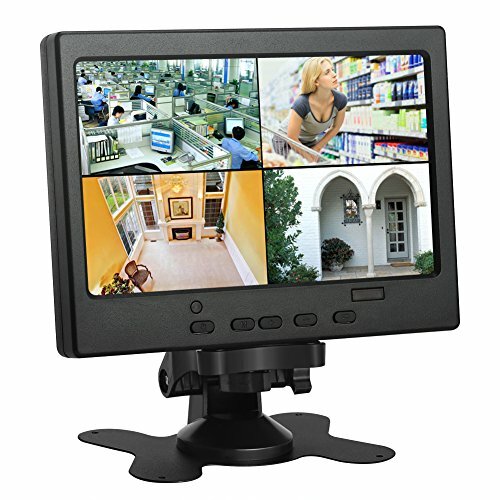 With rotatable sturdy base, the video monitor screen view angle: H-60 degree, V-40 degree. Note: VGA cable and HDMI cable are not included. Multi Menu Language: English, French, German, Chinese, Italian, Spanish, Japanese Etc. If you have any questions about this product by Koolertron, contact us by completing and submitting the form below. If you are looking for a specif part number, please include it with your message.